Best Churros in the Country! No but really, I seriously think I have found the best churros in the country!! And while I realize that is a pretty large statement, trust me when I say I have tried them all! 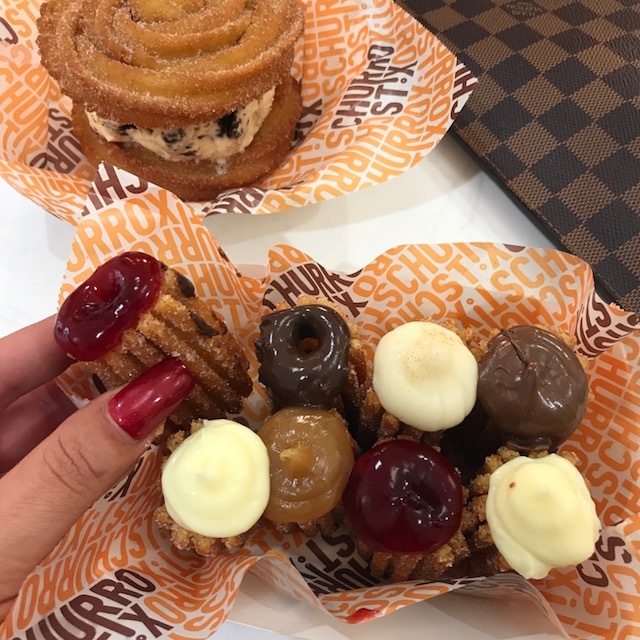 Disneyland churros, county fair churros, Costco churros, frozen box churros, cuban churros in Miami, homemade churros, you name it… I’ve tried it! So on my recent trip down to SoCal, I stumbled upon Churro Stix just before my flight landed at LAX. From the photos, their churros looked amazing, so I decided I had to make the hour drive from my hotel to their location to try these bad boys. After being stuck in notorious LA traffic for what seemed like ages, I was a little skeptical upon arriving because it was smack dab in the middle of the Westfield Topanga Mall… thoughts? If I’m being completely honest, my initial thought was ugh… these aren’t going to be good. Why? 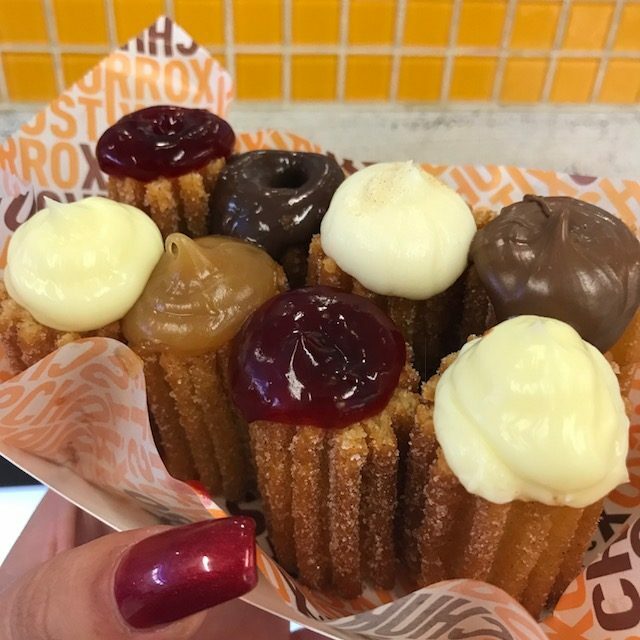 Because how could mall churros be good? But, who’s to judge a book by its cover, right? So I went up to the stand and was immediately greeted by two employees who recommended the churro ice cream sandwich (also known as the “YUMWICH”)… Have you guys seen one of these before? I remember a couple of years back, me and D were on Instagram and we found a churro ice cream sandwich and it literally looked like heaven! After minutes of research, we tracked down these masterpieces and found out they were at Disneyland. Luckily for us, we just so happened to be going that month so our first stop once we got into the park.. THE CHURRO STAND!!! This sounds like a happy story right? WRONG! Maybe D and I had our expectations too high, who knows, but when we got the infamous churro ice cream sandwich, the ice cream literally melted within 2 minutes!!! I KID YOU NOT! So by the time I finally took a bite (after we found a seat), the churro was not only soggy and cold, the ice cream was like soup 🙁 Let’s just say that was not the happiest place on Earth that day.. So as you can imagine, I was pretty hesitant to go for their recommendation, but I thought “hey, I’m here.. why not?”. So I went for the churro ice cream sandwich and the filled churros, which has 8 small filled pieces just in case the churro ice cream sandwich fell short. ORDER UP!!!! They were finally ready to be tasted!.. You guys, these were the BEST churros I’ve ever had!!!! The pictures truly don’t do them justice!! And for those of you wondering, the churro ice cream sandwich IS POSSIBLE!!!! 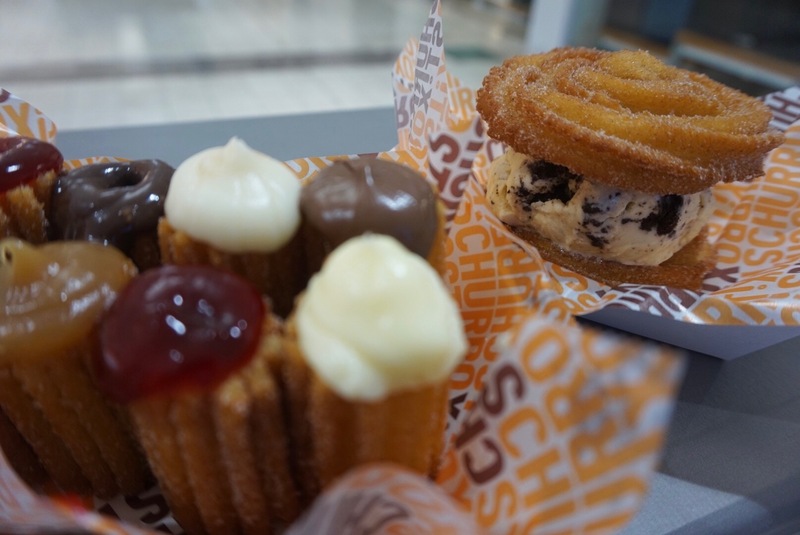 The churro was so warm and fresh and the ice cream was still cold and refreshing. All the churros also had the appropriate sugar and cinnamon to fried dough ratio, which I find lacking more often than not at other places. Boy did Churro Stix master my favorite treat of all time! If you are ever in the area and you love churros, you MUST stop by their location!!! Can you send me some!!! You write with passion. I know how much you love churros. Lol! I wish I could have sent some! They were sooo good! !